Ever feel like you need to organise your thoughts? Take your scattered ideas and turn them into organised chaos with Scapple. This freeform mind-mapping software allows you to record all your thoughts and ideas, then find connections among them that will help you draw conclusions. 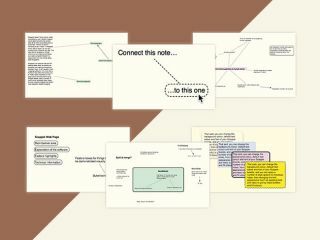 The platform is easy to use, and gives you the ability to make notes, trace lines or arrows to connect related thoughts, group different ideas together, and even share your mind map with other people. And, unlike with paper, you won't run out of space for all the thoughts floating around your head. Get Scapple for only $9.99.